The Beacon score, determined by the Equifax credit bureau, is an at-a-glance indicator lenders use to estimate a client’s probability of successful loan repayment. Beacon scores range from 300 to 900, with 900 as the highest possible score and good credit averaging in the 600s. A person with a Beacon score below 520 will often be turned away from the bank. 10 for applications for new credit card inquiries. One common example of a homeowner with a poor credit rating is chronic late payments. “This is an easier situation—a simple consolidation of all balances into one low monthly payment and reminding the client not to max out their credit cards will help them focus on repaying debt,” says Decina. Maxing out credit cards is a second frequent mistake people make. Mark Fidgett, a Vancouver mortgage broker who owns Verico Not a Penny Down Mortgages, advises that his clients do not exceed 50 per cent of their credit limits. “If you have a $1,000 credit limit and a balance of $950, and you pay your credit card off every month, it still negatively affects your Beacon score,” says Fidgett. “This is because we don’t know what day of the month that particular credit card reports to the bureau. So even if you pay it off every 26th of the month, let’s say TD Visa reports every 15th of the month, your report still says you had a $950 balance on a $1,000 credit card.” Fidgett suggests his clients split spending on a few cards so they’re not overusing their credit. Fidgett’s most imperative advice is for clients to pull their own credit reports from Equifax at least twice a year. All consumers are responsible for correcting any errors and it takes awhile for amendments to be made. “The credit bureau is not there to help you and they’re hard to get a hold of so individuals have to be really diligent,” says Fidgett. Sometimes there can be misleading information on a client’s credit report as well. For example, American Express doesn’t set a credit limit because it’s based on the individual’s ability to pay. So a client may use $5,000 one month and on her report, the AmEx credit limit is set at that amount. The next month, she may spend $8,500, which is acceptable for AmEx, but now her credit score is negatively affected. Alternative lenders offer some specific products to help repair a bruised credit report. Mortgage payments do not go on credit reports. So even if your client is paying the lender on time, he still needs to increase his credit score. Home Trust offers a one-charge mortgage product where there is a regular fixed payment to own a home and the added feature of an Equityline Visa card. 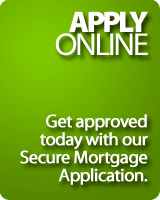 This Visa provides the flexibility of using the equity in a client’s home to secure credit up to $250,000. In the meantime, regular activity on the Visa card and paying bills on time improves the Beacon score. Home Trust also launched a Credit Assist product in Ontario in October 2010 as a one-year solution where debts are consolidated into one to help consumers repair bruised credit. After one year, clients should be able to renew their mortgage to a prime rate with more favourable terms. Conditions for qualifying include verifiable income, a 44 per cent maximum total debt service ratio and a minimum Beacon score of 520, with lower scores evaluated on a case-by-case basis. Homeowners can borrow up to 85 per cent loan-to-value without requiring default insurance. One of two key pitfalls for clients to avoid is over-applying to creditors and lenders. As shown in the earlier breakdown of a credit report, how often you inquire for a new credit card makes up 10 per cent of your Beacon score. “Even if they’re walking through the mall and there’s somebody at a booth giving away a free pen, saying, ‘Just fill out a credit card application,’ people don’t realize that’s authorization for someone to pull their credit report,” says Fidgett. Or a client may be deciding what kind of credit card to get. They may apply to a number of lenders to find the best deal. They’re approved everywhere but now there were five hits to the credit report. “The best approach is to talk to a mortgage professional, decide which product is best and apply for that one,” says Decina. The other problem many people walk into is ignoring small payments, but no matter what the balance is, it should always be paid on time. “Even if it’s $30 on your credit line bill or Visa bill, never say, ‘I’ll pay $60 next month,’” advises Decina. “A credit bureau doesn’t take into account that the money owed was very small. It does take into account the payment was missed. That becomes part of the score and is something that cannot be erased.” To avoid the hassle of paying a credit card bill every month, your client can set up automatic payments through the bank. Fidgett has recorded videos on credit tips and uploaded them to YouTube for clients to access easily. He also has an e-book designed that he sends to clients for free whenever they’re looking for advice on managing and improving credit. He suggests other mortgage brokers do the same. “This is also a great lead generator because when people are surfing the Internet for this advice, they find my videos and can get my e-mail address off the website,” he adds. Generally, moving a client with bruised credit from a B to A mortgage simply takes time and sound advice. When you inform them of the effects their financial habits have on the whole picture and the easy steps they can perform to do better, a mortgage renewal with a great rate is within reach.